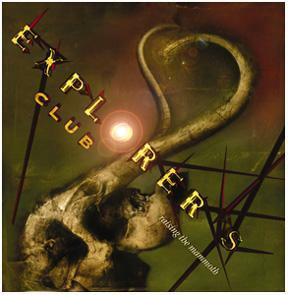 Explorers Club is a progressive rock supergroup headed by the Gardner brothers of Magellan featuring, among others, James LaBrie, John Petrucci, John Myung and Derek Sherinian of Dream Theater, Billy Sheehan, Gary Wehrkamp, Steve Howe, Marty Friedman and Terry Bozzio. 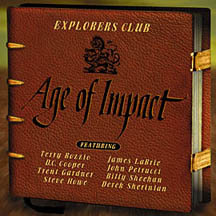 Their first album, Age of Impact, was released in 1998 and followed in 2002 by Raising the Mammoth. Trent Gardner: "The idea of the Explorers Club project is to have a different concept each time a way for me to write for other musicians and to kind of go outside the bounds of the stuff I do with Magellan. I don't really anticipate any Explorers Club projects to be similar to each other. Raising The Mammoth is so much different from Age Of Impact in terms of some of the emphases with more ensemble stuff and more keyboard solos. There are definitely longer stretches of music. It's really a format for me to have carte blanche on whatever I want to do. And I see the personnel evolving each time as the music requires."